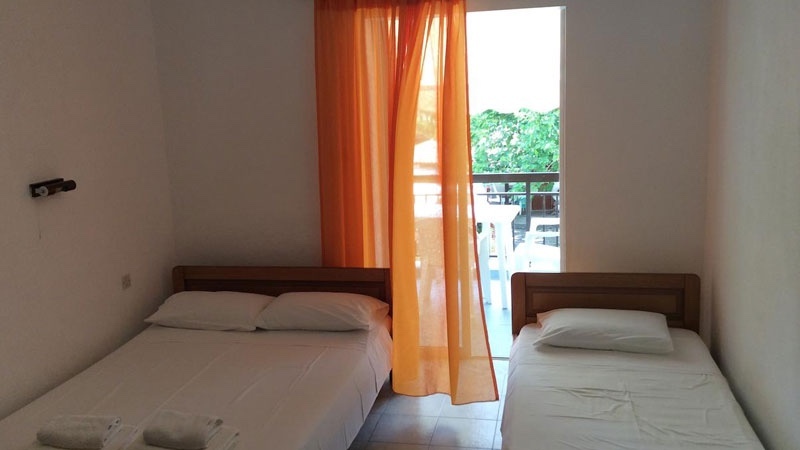 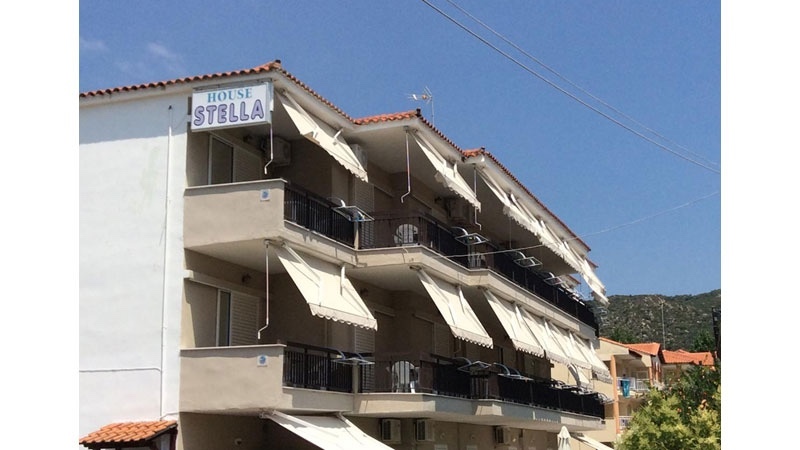 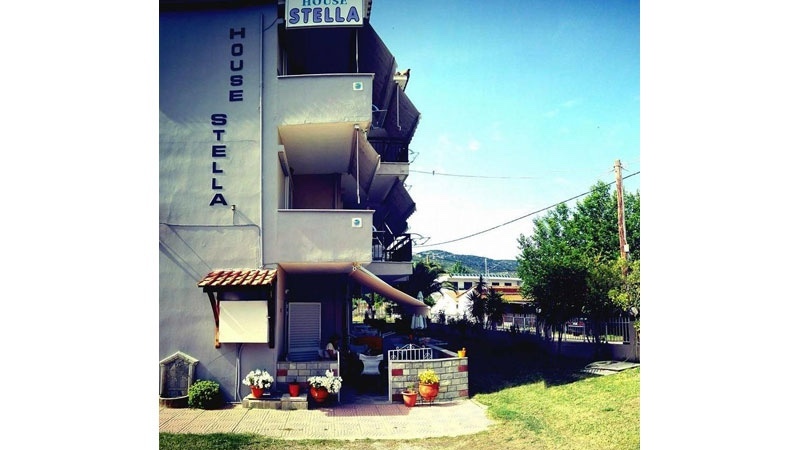 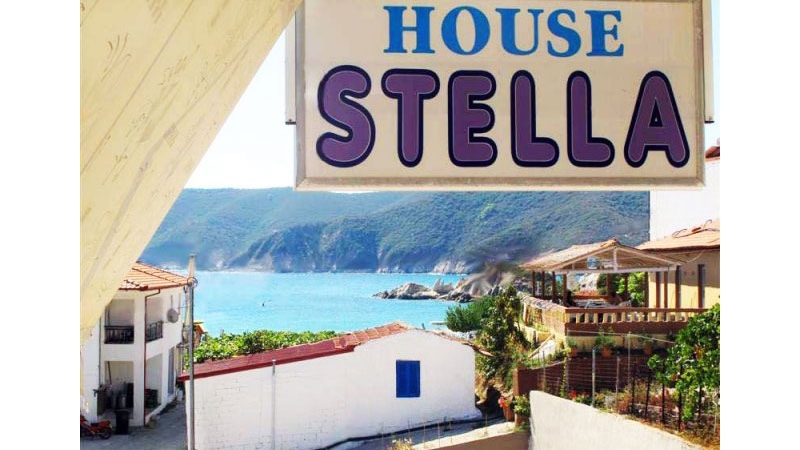 House Stella consists of 8 double, 8 triple studios and 3 family sized apartments for up to 5 persons. 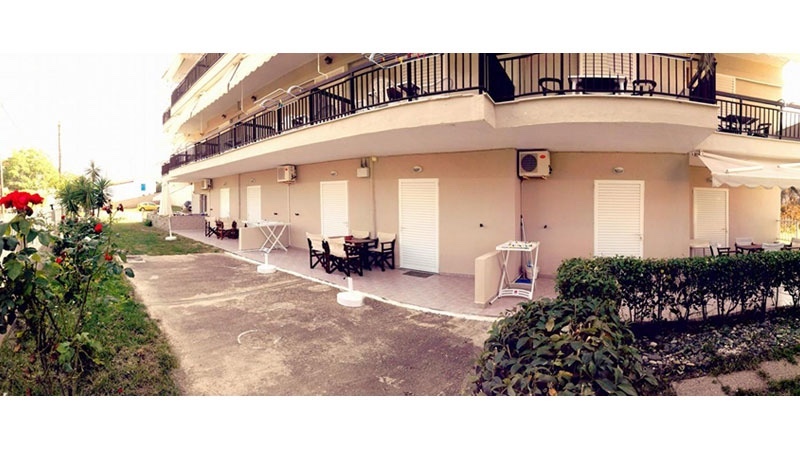 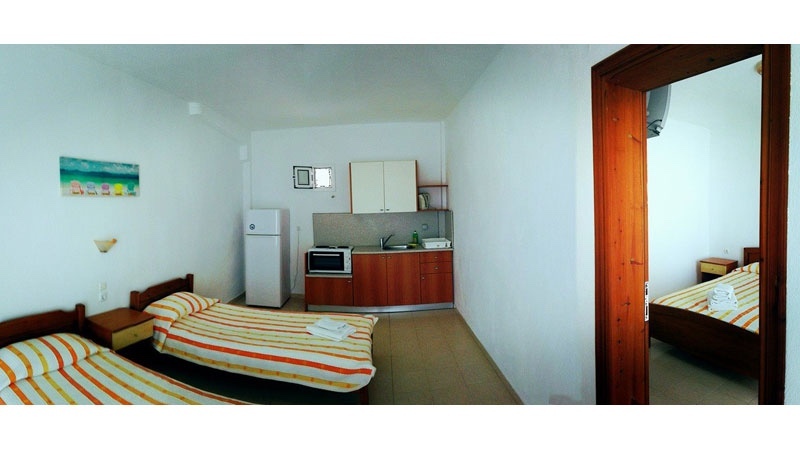 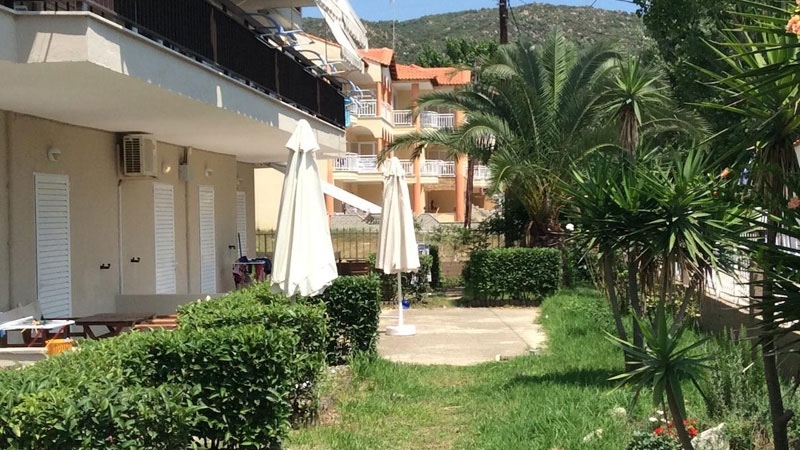 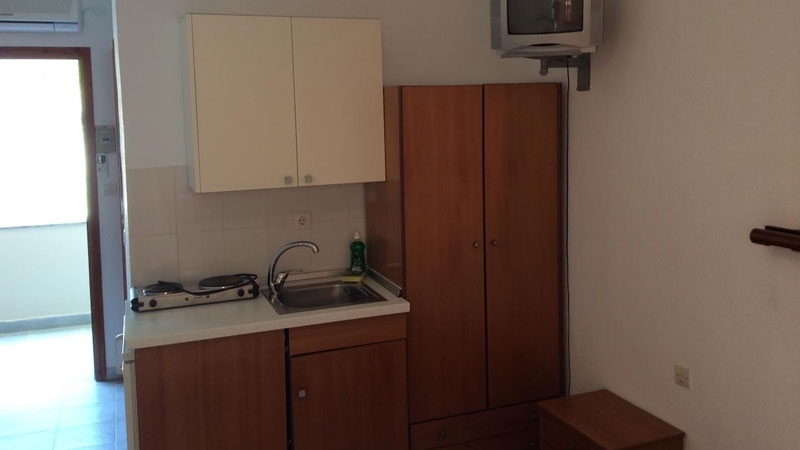 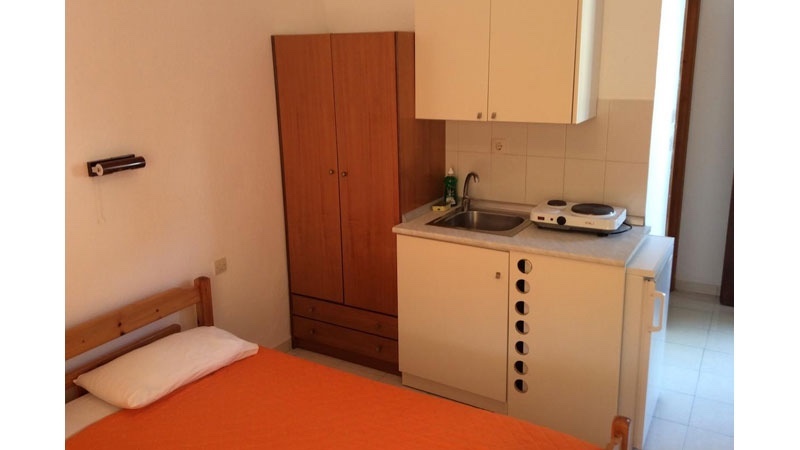 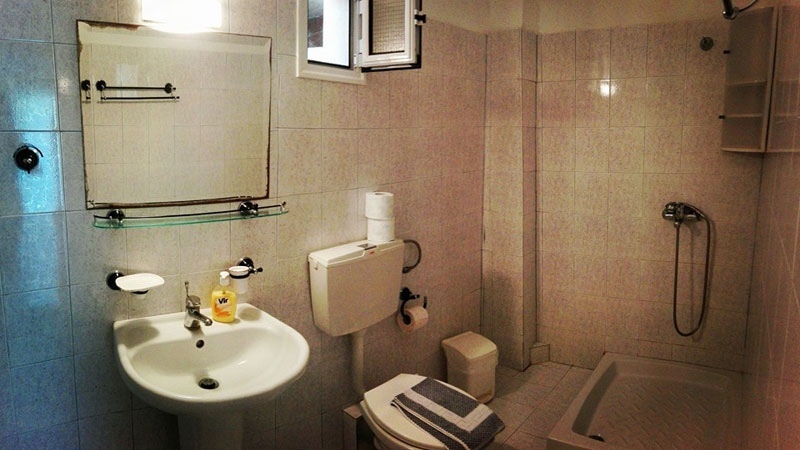 The apartments are located in a large garden with a barbecue area, private parking and free WiFi internet. 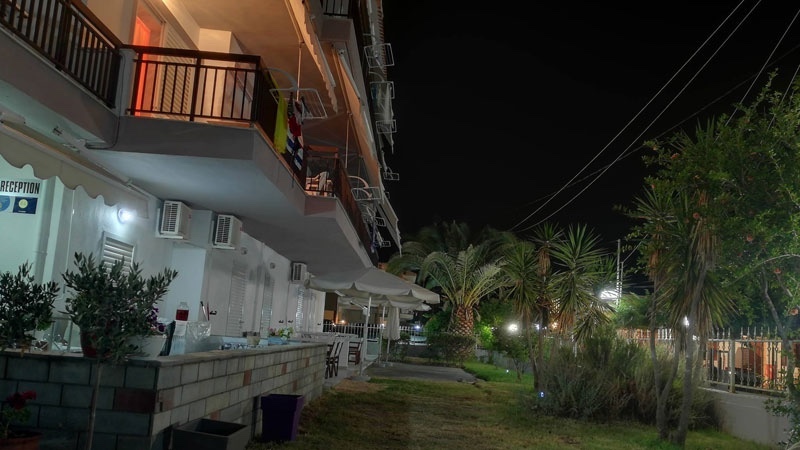 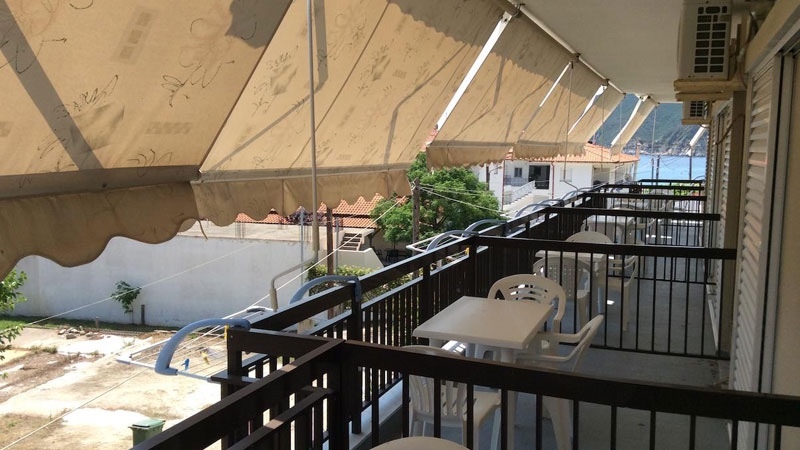 All the studios and apartments have a large balcony, a fully equipped kitchen (refrigerator, stove, oven), bathroom with shower, 24 hr hot water, air conditioning, and satellite television. 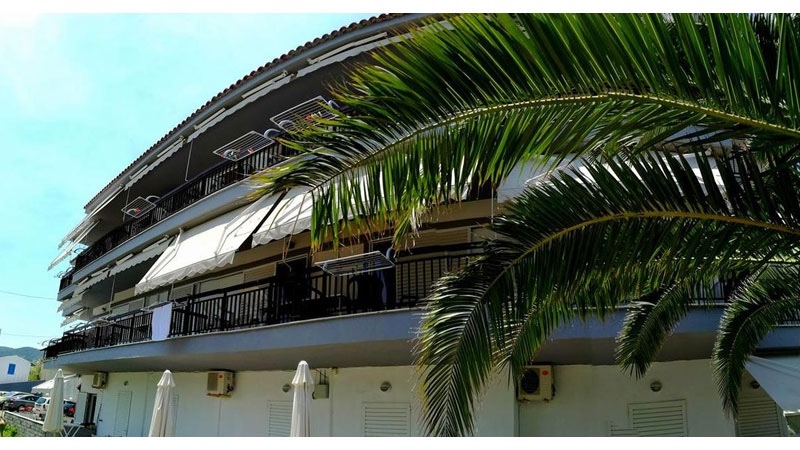 Just a few meters away are several Greek style Tavernas and beach bars. 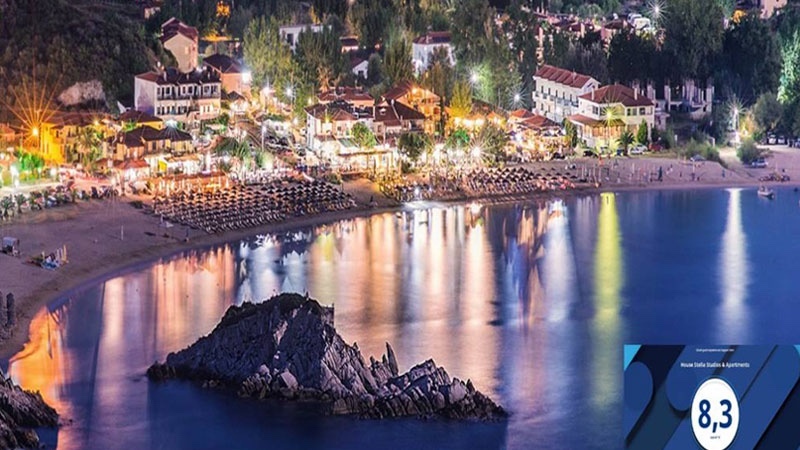 Kalamitsi is also a good destination to try water sports such as diving. 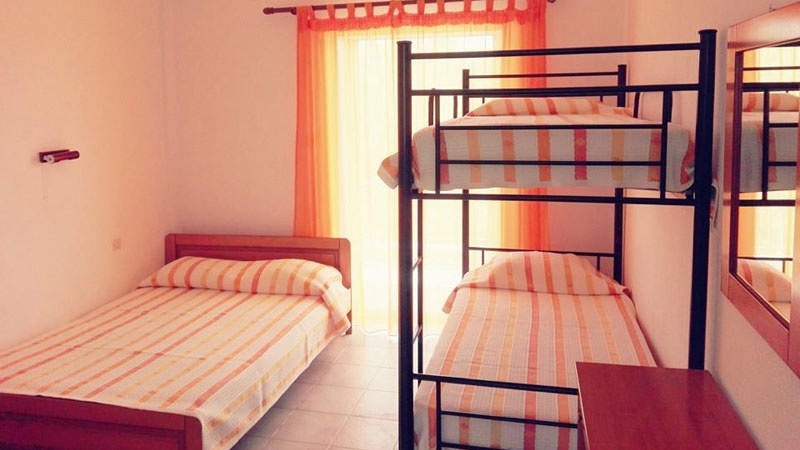 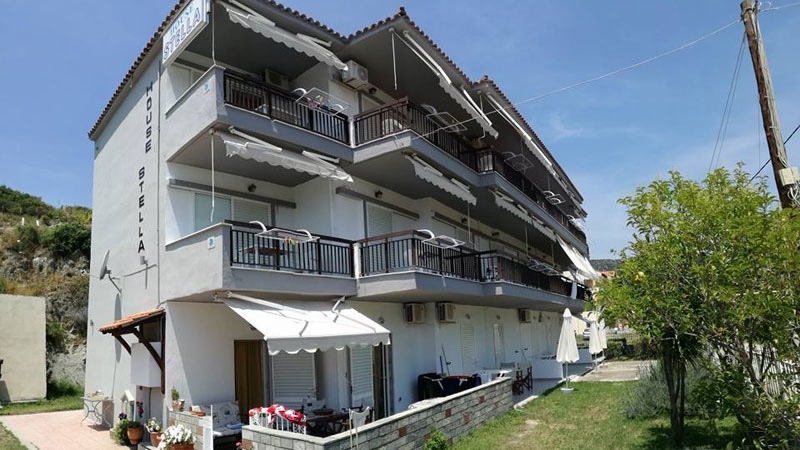 One of the most affordable accommodation options in Kalamitsi and a very close to Kalamitsi’s amazing beach.